This machine embroidery design is part of our Doll Clothes American Girl, Doll Clothes Fashion Dolls and Fashion Accessories collections. It uses the Freestanding Battenberg Lace technique. It will fit the Large hoop (5" x 7"). 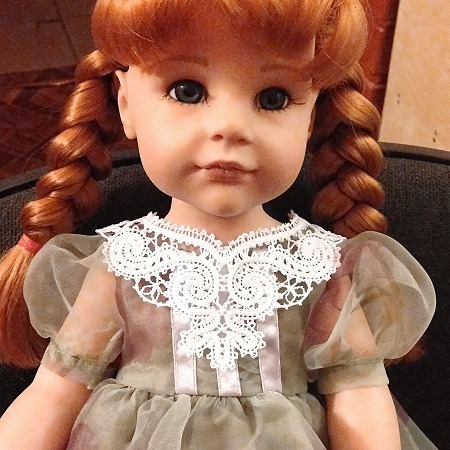 The necklace can be used to make collars for doll outfits. This is the collar on an 18-inch doll. 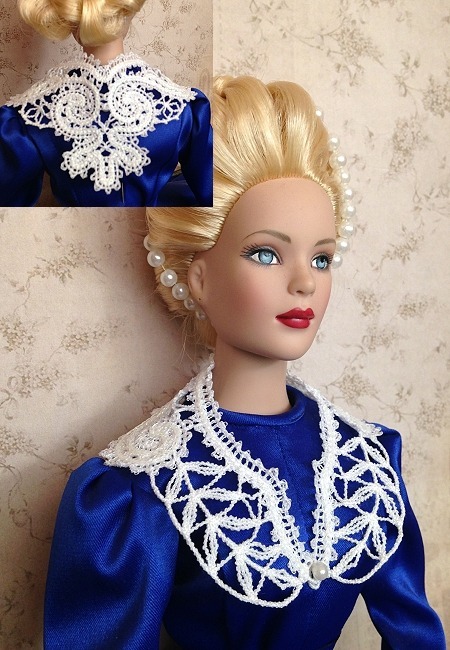 This is the same collar on a 16-inch fashion doll from Tonner.